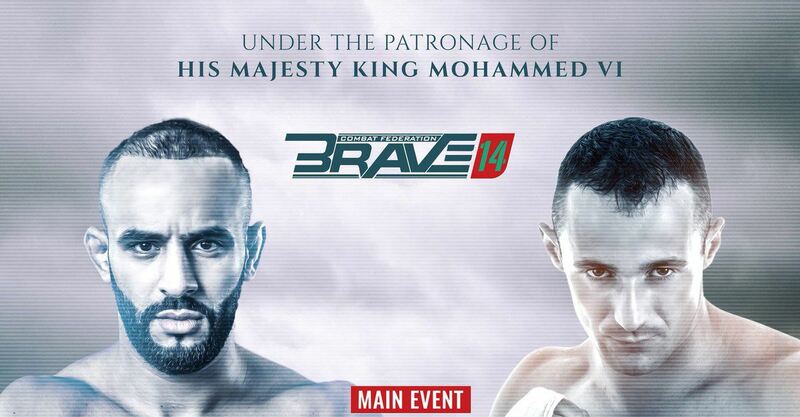 After weeks of speculation, Brave Combat Federation is pleased to announce that Ottman Azaitar, one of Morocco’s biggest sportsmen, will fight on Brave 14, set for The Omnisports Indoor Club, in Tangier, on August 14th. He will take on Danijel Kokora in the new main event of the promotion’s first trip to Africa. Azaitar’s Lightweight title won’t be on the line as he moves up to face Kokora in a Welterweight bout. The announcement was made by Brave president Mohammed Shahid at the Global Expansion press conference, held last Wednesday at the Sofitel Hotel in Zallaq, Bahrain. The event also announced seven other shows to take place worldwide until the end of the year. With that announcement, the Featherweight bout between Jeremy Kennedy and Danyel Pilò will now serve as the co-main event of the evening. Also set for fight night is a Welterweight bout between future title contenders Sidney Wheeler and Abdoul Abdouraguimov, while Bantamweights Felipe Efrain and Arnold Quero face each other with eyes on Stephen Loman’s world title at 61 kg.